It’s our favorite time of the year, putting up the tree, hanging Christmas lights, and filling our homes with the warmth of the Holidays. And we're always excited to celebrate the holidays with you and your family. Jerry's is packed full of the best and brightest decorations. From the classic to the unique and everywhere in between. 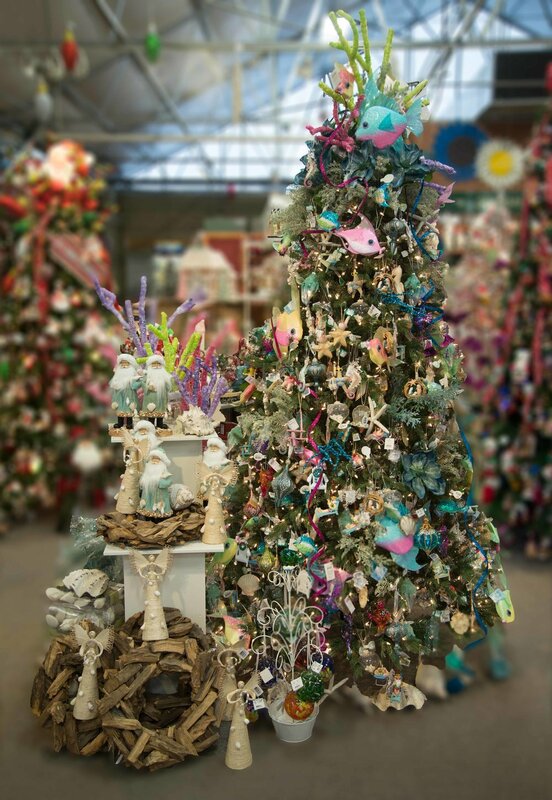 Choose from hundreds of the most perfect Real Christmas trees, big ones, small ones, short ones, and fat ones. There is plenty for you to choose from. And if a real tree isn’t your thing, check out the magnificent display of artificial life-like Christmas trees in every color and style. Add some lights to make your holiday's bright - Jerry's has the absolute largest selection of Christmas lights, in every color, size, and style you could imagine. Plus don't forget about our massive display of outdoor décor items for your yard and front porch. The Holiday’s are for giving, and we always have plenty of great gifts for everyone on your list. Beautiful Jewelry, Unique Apparel, and Purses in our Boutique area for her. And a fantastic selection for him from brands like Yeti, Weber, Traeger Smokers, and the Big Green Egg. Call or stop by our in store floral department and send the gift of flowers or one of our fruit bouquets to those near or far. And everybody loves a Poinsettia. We have hundreds on thick, vibrant poinsettias perfect as a gift or as a centerpiece for your dinner table. And what would dinner be without dessert. Carm’s Bakery inside our store, bakes some of the most scrumptious desserts, pies, and cookies - perfect for the holiday season. Bring the family, bring the kids, and visit our Christmas Wonderland every November through December.